I currently own the Sizzix Big Kick. I also have the Side Kick which I have had from when the Sizzlet dies came out. Now everything can be used in my Big Kick so the little machine only gets to come to crops if I am not planning on using embossing folders or full size dies. The first reason I went with the Sizzix Big Kick is that I already had a huge collection of dies from when I used the Sizzix Big Red Original Machine. While I had the Big Red I also purchased the Side Kick when they introduced Sizzlets which are much thinner smaller dies than the originals. The next reason was that I had tested out a Cricut at a scrapbook shop and found it much too complicated - it was great to be able to cut the same design in a variety of sizes and to be able to download cuts from online or design your own but the learning curve was greater than I was willing to do when I already had so much invested in my 'so easy' to use Sizzix. At this point I decided to upgrade my 'Big Red' to the 'Big Kick'. After I got the Big Kick I started collecting embossing folders. I use these nearly all the time. The machine is SO easy to use. You create a 'sandwich' with your die/folder and paper between some cutting plates. You put it at the front of the machine and crank the handle. It quickly rolls out the back complete. Saturday was World Card Making Day so I decided to use my Sizzix Big Kick to help me create some cards. 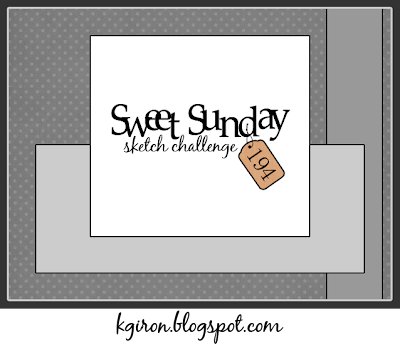 The first one uses Sketch #313 from Mojo Monday. 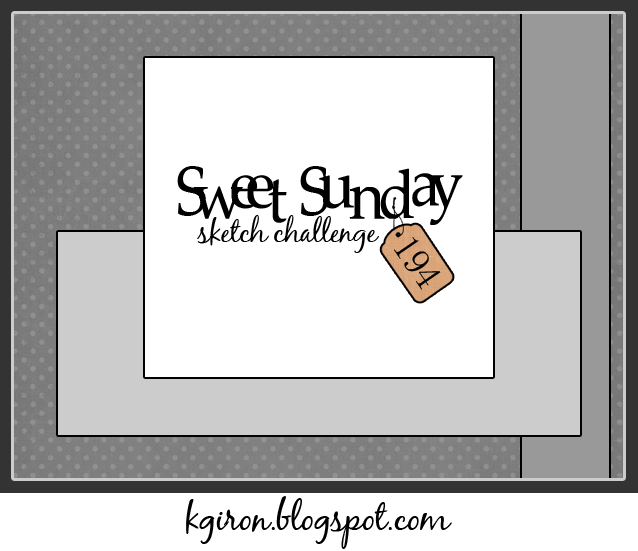 The next one uses sketch #194 from Sweet Sunday Sketch Challenges. In case you arrived here from another site here is the full line up for the hop. 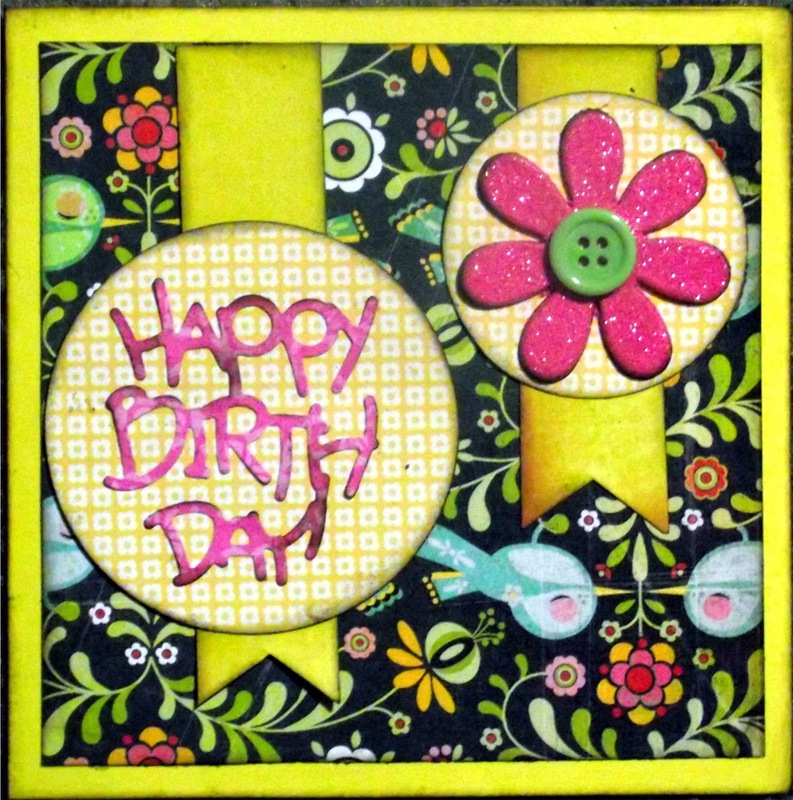 Thanks so much for joining us and learning a bit more about die-cutting. 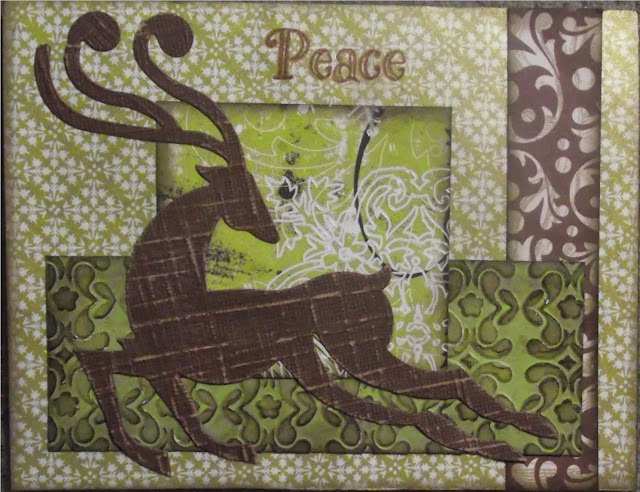 A random commenter will be selected to win an envelope filled with various diecuts. I think it is awesome that you are happy with what you have. There is a learning curve and some people have that knack to dive in and learn without effort others are halfway there and some just don't have time or wanna learn it. I know the feeling of not wanting to learn it! I think I have that knack, so it came pretty easy for me. Still on the learning curve with my silhouttte but it's great for me. You make such nice projects with what you have as well. P.S. I love your button I just want to make beautiful things! Message me with your address! You are the winner! Gorgeous cards!!! It is great to have different options for cutting our paper! I know what you mean about the learning curve - I used to teach cricut classes and some ladies bought their machines and did not even open the box for months! It was so awesome helping them make their first cuts! BUT - it is also awesome that you are totally happy with what you have. So many of us want the newest thing just to have it! You did a great job on both cards, but I LOVE the reindeer. Thanks so much for sharing. Both cards are fabulous Paula! I love the Mojo Monday with the beautiful DP. I also love the second card with all the wonderful DP on that one as well. Your image is awesome. Love your cards - especially the one with the sparkly pink flower. Exellent cards. :) Grettings from Poland. Two fabulous cards - TFS! Hi Paula. Congratulations! You are a winner at my CTMH 400 followers contest. Please email me at purpleglocreations at socal dot rr dot com. I will give you the contact information when I hear from you. thanks Gloria. Just sent you an email! and checking out your blog! Hi Paula, I have replied and sent you two emails. Please send me an email with your actual email address with the link inside your email. Maybe it doesn't work to just hit reply. So sorry. I sent email giving you instructions on how to claim your prize; but can't put it on here or everyone can claim it. LOL! I just got your last email stating you had not heard back from me; so this is a response to that email.